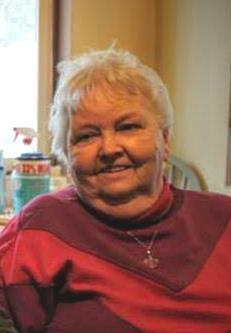 Joan Countryman Basham, 82, mom, grandma, great-grandma and friend had left us to go home with God, February 4, 2019. She was born in Daisy, WA on July 10, 1936. Her family had moved to Troy when she was 13. She was the 4th of 12 children and attended Troy School until she had married Robert D. Basham, Dec 8, 1952. A beautiful lady with a beautiful voice, she could also play any instrument that she picked up, she was very talented. She had a wonderful sense of humor and could also be a trickster. She loved to play a little joke on those she cared very much for. Joan and Robert were long time members of the Troy Grange. They did lots of square dancing and spending time with fellow Grange members. Her family and friends meant a lot to her. She was always there for any of them when they needed help, medically or otherwise. She loved her kids, grandchildren and great-grandchildren very much. She always had a twinkle in her eye when she talked about them. Joan was a very strong person who endured many Medical and physical obstacles that life threw at her. 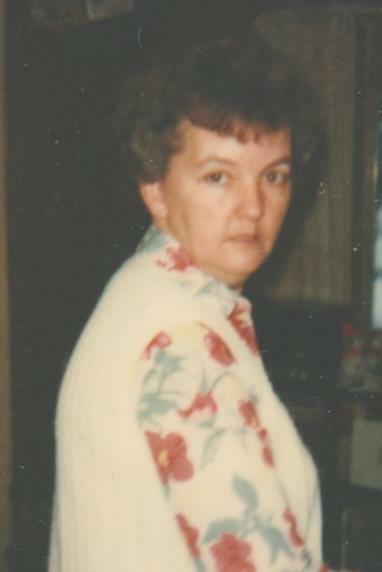 She was preceded in death by her parents Ed and Anna Countryman, her brothers, Donald, Byron, Allen, Richard Countryman; sisters Alberta Countryman and Dora Echoff, and daughters, Rhonda Bilby and Tracy Basham. She is survived by her husband Robert D Basham, sons, Bobby Joe and Bruce Basham; sisters; Erna Carr, Carol Johnson, Velma Potts and Mattie Dickinson; brother, George Countryman; grandchildren Barb (Jeff) Cook of Troy; Bill (Severine) Basham of Libby; Wyatt (Sanda) Bilby of Texas; Bryce (Lori) Basham of Texas; Travis (Dominic) Basham of Applegate, OR; 16 Great-grandchildren, numerous cousins, nieces and nephews. A Celebration of Life will be held July 10, 2019. There will be an announcement posted at a later time with more information. Arrangements are by Schnackenberg Funeral Home in Libby. Online condolences and memories may be shared at www.schnackenbergfh.com.